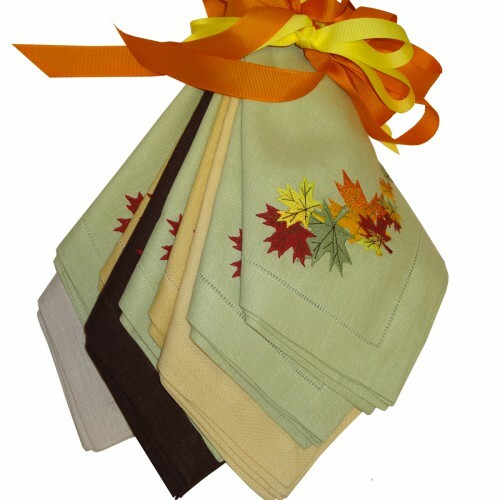 Fall leaves in beautiful shades of golden yellow, spicy orange, olivey green and soft beige... delicately hand embroidered onto colored linen napkins. Set of 4. Beautiful fall colors complement the dinner table during the Autumn season. Leaves are embroidered for easy-care. 100% linen fabric with a hemmed edge.